WOW! 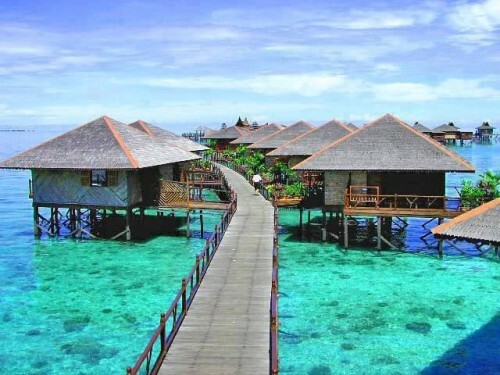 Cheap flights to Borneo: Kota Kinabalu for only €469! If you want to visit Borneo, beautiful part of Malaysia, you can now book cheap tickets with 5 star Qatar Airways. 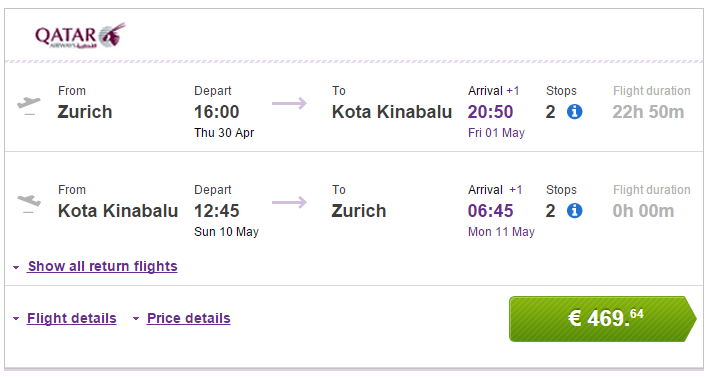 Return tickets from Zurich to Kota Kinabalu are available for only €469! You can als fly from Budapest for €479! There are 2 stopovers in Doha and Kuala Lumpur. Regular tickets to Borneo are €900+! Travel dates are from March to June. Book your ticket trough Vayama to get this great price! « HIT! Really cheap flights to Sri Lanka: Colombo for only €218!